Big Size Sandstone / Black Baseball Cap (Plain) to fit 61-65 cms (7 5/8 - 8 1/8 US), Quality heavy brushed cotton, 6 panel construction, Structured style, Pre-curved peak/visor, Embroidered eyelets X 6, Fabric strap with gunmetal buckle and tuck-in return, no logo embroidered. 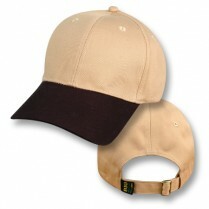 ..
Big Size Sandstone Baseball Cap (Branded) to fit sizes 61-65 cms (7 5/8 - 8 1/8 US), Quality heavy brushed cotton, 6 panel construction, Structured style, Pre-curved peak/visor, Embroidered eyelets X 6, Fabric strap with gunmetal buckle and tuck-in return, embroidered with Big Aussie Hats logo. 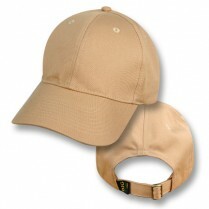 ..
Big Size Sandstone Baseball Cap (Plain) to fit 61-65 cms (7 5/8 - 8 1/8 US), Quality heavy brushed cotton, 6 panel construction, Structured style, Pre-curved peak/visor, Embroidered eyelets X 6, Fabric strap with gunmetal buckle and tuck-in return, no logo embroidered. 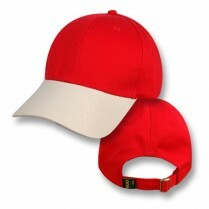 ..
Big Size Red / Natural Baseball Cap (Branded) to fit sizes 61-65 cms (7 5/8 - 8 1/8 US), Quality heavy brushed cotton, 6 panel construction, Structured style, Pre-curved peak/visor, Embroidered eyelets X 6, Fabric strap with gunmetal buckle and tuck-in return, embroidered with Big Aussie Hats logo. 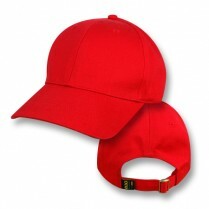 ..
Big Size Red / Natural Baseball Cap (Plain) to fit 61-65 cms (7 5/8 - 8 1/8 US), Quality heavy brushed cotton, 6 panel construction, Structured style, Pre-curved peak/visor, Embroidered eyelets X 6, Fabric strap with gunmetal buckle and tuck-in return, no logo embroidered. ..
Big Size Red Baseball Cap (Branded) to fit 61-65 cms (7 5/8 - 8 1/8 US), Quality heavy brushed cotton, 6 panel construction, Structured style, Pre-curved peak/visor, Embroidered eyelets X 6, Fabric strap with gunmetal buckle and tuck-in return, embroidered with Big Aussie Hats logo. ..
Big Size Red Baseball Cap (Plain) to fit 61-65 cms (7 5/8 - 8 1/8 US), Quality heavy brushed cotton, 6 panel construction, Structured style, Pre-curved peak/visor, Embroidered eyelets X 6, Fabric strap with gunmetal buckle and tuck-in return, no logo embroidered. 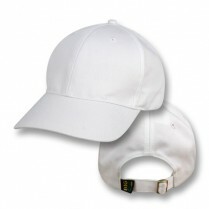 ..
Big Size White Baseball Cap (Branded) to fit 61-65 cms (7 5/8 - 8 1/8 US), Quality heavy brushed cotton, 6 panel construction, Structured style, Pre-curved peak/visor, Embroidered eyelets X 6, Fabric strap with gunmetal buckle and tuck-in return, embroidered with Big Aussie Hats logo. ..
Big Size White Baseball Cap (Plain) to fit 61-65 cms (7 5/8 - 8 1/8 US), Quality heavy brushed cotton, 6 panel construction, Structured style, Pre-curved peak/visor, Embroidered eyelets X 6, Fabric strap with gunmetal buckle and tuck-in return, no logo embroidered. ..